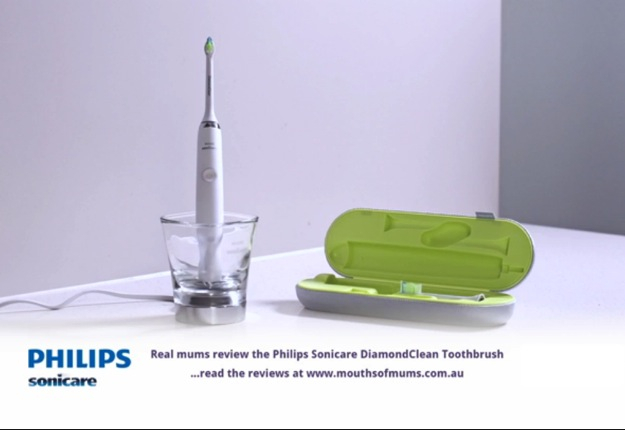 In the Sonicare DiamondClean product review, Mouths of Mums members were sent a Sonicare DiamondClean electric toothbrush to trial and review. Both mums and their partners took part in the trial. You can read all the written reviews and see the star ratings for the Sonicare DiamondClean here . Love Sonicare; a great toothbrush! looks pretty good love the timer i find myself stop watching with the kids to make sure they brush for long enough. great video moms, you both did really well ..
love the look of this brush. I have used an electric toothbrush for many, many years now. This looks like a great model and I love the idea of the glass charger and the usb charger for travel. I love my electric toothbrush too!